Less than 1km from the city centre gives easy access to shops and restaurants. 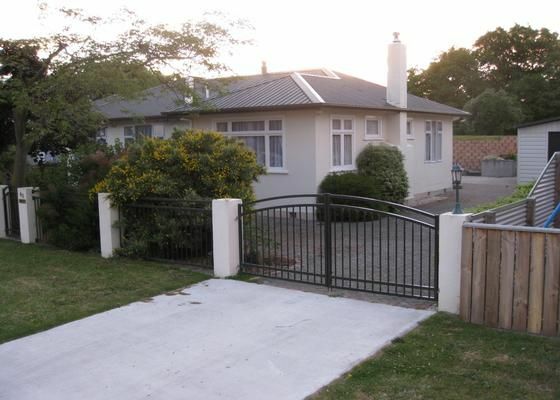 The best in it's class in Blenheim this private and secure home borders onto the lovely river reserve. Kids can play in the old walnut tree or run in the reserve while you entertain in the garden or take a stroll out the back gate and enjoy the area. This home has a lounge with large TV(sky) and DVD and a second lounge next to the sleepout. The dining room and family area open to the well equipped kitchen which boasts the ability to easily cater for large or small groups. There are enough areas in this house that there is ample living space even for the largest groups. Special rates given for longer bookings. Please inquire for details. During major events the house is priced at a flat rate based on full occupancy. Was a great place for our requirements. fantastic property for a group or families, we had a blast. fantastic property for a group or families, we had a blast. Would highly recommend to anybody wanting a big house with everything you could want.